I might have dreamed that Chris was Matthew Sunday night. I might have imagined I was living in Downton Abbey all day yesterday. I might be kicking myself for not re-watching Seasons One and Two this summer. I might be scheming about how I could get two days of free time in which to do so. You might have guessed: It worked. Chris and I watched Episode One, Season Three of Downton Abbey Sunday night, a few hours after it aired in the UK. And it worked flawlessly. It was 67 minutes of pure British Bliss. The process ended up being much easier than I made it sound in my first post, so if you were afraid of the technicality of it, don’t be. 3. Create an account for TunnelBear and pay the $4.99/month for unlimited bandwidth– the free 500 MB won’t last through the first episode. 5. Open a new browser window. 6. Go to the iTV Player. Click on the Downton Abbey episode. a. If your television has an HDMI hookup and you have an HDMI cable, you can actually connect your laptop and watch it on your TV. b. A free option that people suggested on my last post (for which I cannot vouch) is Expat Shield. c. The episodes are available on iTV for one month after they air. The only problem with watching it now, though, is that I can’t talk about it in open forums! So I’ve set up a page for all of us who are watching it to stop by and discuss. DO NOT GO TO THIS PAGE IF YOU HAVEN’T SEEN THE LATEST EPISODE. If you’re having trouble deciding whether you want to watch now or in January, here’s my one argument as to why you should watch now: it’s 67 minutes. You KNOW that PBS is going to truncate the episode before they show it here – they have committed that crime the last two seasons, and they likely will continue to do so. 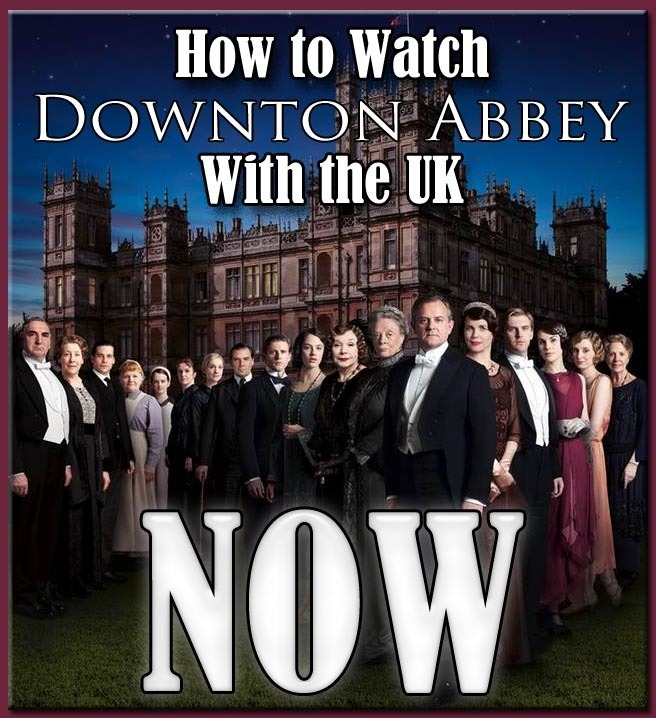 If you want to see the FULL Downton, this is the way to do it – watching it early is just a sweet bonus. Let me know if you need help – I’ll be glad to offer it! Next Post How to Sell Football to a Girl. Previous Post The Worst Blogger Ever. I will never understand the scheduling of British television. The shows are always weird lengths and a season can be only 3 episodes. I don’t get it. Doesn’t stop me from wanting to move there, though! I have never heard of Tunnel Bear. I will have to check it out! Thanks for sharing the info. Thanks, now I know how I will be spending my morning. Screw you giant pile of laundry. WAY more fun than laundry. So I didn’t quite wait for a free evening. Looked into it this morning via Expat Shield and it worked beautifully! Excellent! I’m glad to hear that works as well. Ha! That WOULD be a value-added service, wouldn’t it? Saw it, loved it. (muffled spoilers). That’s great! I’m glad it worked for you.